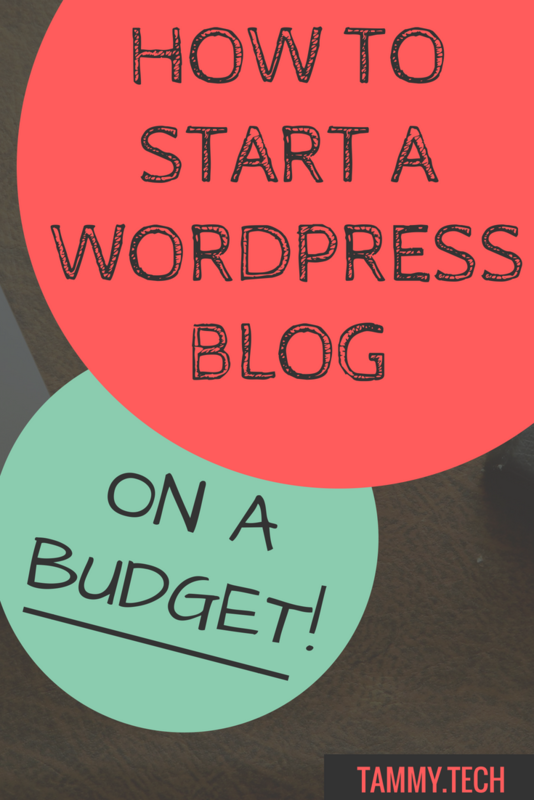 So You Want to Start a WordPress Blog on a Budget? Of course you do! That’s what brought you here! However starting a blog can take a good bit of work, and resources, which is enough to make anyone have second thoughts. Thinking of the possible costs and amount of research I would need to undertake to really get this venture started was certainly more than enough to give me real pause. I knew however that this was a dream I wanted realized- to be able to share my knowledge and put my technical expertise to use for those who truly needed it. What makes me even happier is that I have gone through the trouble of researching these things, and exacted a fair amount of trial and error so that you don’t have to. Hopefully by the end of this article you’ll be ready to dive right in too! If you’re reading this I’m going to assume you have at least a general idea of what WordPress is. Even if you don’t I’m going to go ahead and give you a little background on this platform and why it might be a good idea for you to use it. First, the basics. What is WordPress? WordPress is a CMS, or content management system, that helps users to easily create, edit, and publish content on the web. Essentially it allows you to create your own website and host original content, including blog posts, pictures, or videos, or even sell products and services. WordPress is actually the most popular CMS in the world- and for good reason. It has amazing versatility, allowing you to create almost any type of environment you might need. 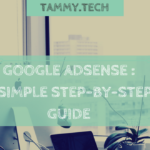 It is also incredibly easy to use and has an array of themes and plugins that can really help you in establishing a good online presence. I feel I should also mention that there is a definite difference between creating a website on WordPress.com and WordPress.org. Simply put, the .org version of WordPress offers a lot more options in terms of building a website that can contain all the functionality you need, and allow you to grow and change. WordPress.com is useful but limits you in terms of monetizing your site, displaying certain content, and actually owning the website and all of its data. I will link to a blog post I found SUPER helpful on the differences between the two if you want to know more. Obviously there are a number of other alternative depending on your specific needs- platforms like Bloggr, Squarespace, or Wix can certainly work for you as well. 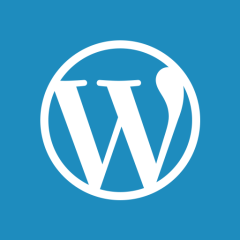 I do technical work for an array of clients and almost all use wordpress because of all of its great benefits. I won’t go too much into detail on that in this post but if that’s something you’re interested in leave a comment and I may do a post about it in the future! After doing all of the necessary research I decided on WordPress.org as my platform. Yes this website is completely designed using WordPress, a very handy and versatile theme, and a few essential plugins. In order to create a website using this platform there are only a couple things you will need. One of the first questions I asked myself before starting my blog was how much money am I ready to spend? As a college student on a fixed income I knew I didn’t have a lot of money to invest. I told myself if I really wanted it, I could find a way. And I was able to do it- for less than 25 dollars! I am in quite a few facebook groups and watching discussions I saw people giving a lot of advice and talking about how much they spent, and often times it seemed a bit extensive. I looked at what they said, and respected the decisions they made but realized I didn’t have to do what everyone else was doing to be successful. Using less than what I’d have spent on a night out with friends, I was able to purchase both my domain name, and hosting, for my website. I built my website using wordpress.org and utilized a free theme and free plugins to get the look and functionality I wanted. I told myself if I was able to make at least $22.74 with my blog before the end of the year, it will have paid for itself. And it did! A domain name is simply the url that people will utilize to get to your website. 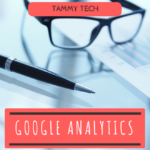 Google.com, WordPress.org, Tammy.tech- these are some examples. It can be whatever you would like it to be- provided no one else has purchased it and the domain name is available. There are lots of places to get one from, and generally the prices are the same among different providers. The kind of domain extension you get as well will factor into the price. Getting a .com domain is usually more expensive than a .net or a .tech. GoDaddy, Namecheap, and Google all offer the option of purchasing a domain name. 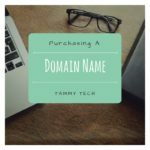 I use namecheap for all of my domains, and for this article I will feature the .com domain I purchased and the price that was which is closer to the standard most people will pay. As you can see the grand total for the purchase of my domain for a year was just under $11. This is pretty standard amongst most providers and what I like about namecheap was that I got a year free of whoisguard which helps to keep your identity safe from spammers. Domain and hosting prices are a recurring thing. In order to keep them you have to pay for them every year- or depending on your provider you can renew for multiple years at a time. Just make sure you don’t let it lapse because there can be a fee associated with reinstating it, or someone can buy it from under you. While a domain name is the url that your website uses, hosting is what allows it to exist there. Kind of like renting out the office space to house your business. This price can actually vary greatly depending on which company you choose to go with. Within my blogging communities the name that I see come up the most for great hosting service and customer service is Siteground. And they are a great company, that I won’t deny. But for someone just starting out who isn’t sure how far they want to get into this and don’t want to commit too much, it can be a bit much. Their introductory pricing is $3.95/mo ($47.40/yr) for the first year which increases to $11.95/mo after that. Doing some research I saw that namecheap’s cheapest hosting package had double the disk space of theirs with the option of up to 3 websites. The introductory pricing which you can see below is just $9.88/yr (I added an SSL certificate for an additional $2) and goes up to just $40/yr after that. This means that Namecheap’s regular pricing is less than Siteground’s introductory pricing. I have never had any issues with my site being down and anytime I needed help with anything their customer service was extremely helpful. I recommend them because they are extremely affordable and always helpful. I’ve had a few clients who have made the switch on my recommendation and said it was one of the best decisions they made. If you like Sitground or some other hosting service by all means, use them. Just know that just because everyone else uses something or says you should do something a certain way doesn’t mean you have to. Find what works best for you! As you can see above I paid less than $10 for my first year of hosting which means altogether I spent just $22.74 to get my blog set up. It can be this affordable for you as well and allow you to get your dream started without breaking the bank! So I hope you find this post useful and maybe it will inspire you to take that leap you’ve been putting off. The idea of investing in something that may not work out can be scary but learning to minimize how much you have to put upfront can make it a bit more manageable. If you have any thoughts or questions please sound off below!